We’ve been working with our strategic partner, Vanguard, to produce an annual publication looking at the pension saving experiences of people who’ve been enrolled into NEST. NEST has achieved a high degree of coverage across the whole of the UK, across all industry sectors and low-to-moderate income workers who were previously at risk of inadequate retirement provision. Participation rates are high, consistent with other auto-enrolment system examples, and exceed many commentators expectations prior to 2012. Voluntary participation in retirement saving tends to be among members who are female, younger and on lower incomes. After adjusting for earnings, women appear to be better retirement savers than men in the NEST arrangement; the factors underlying this observation warrant further study. Account balances are consistent with a scheme in ‘start-up phase’, and can be expected to grow rapidly with phasing-up of contribution rates. Account balance projections suggest a material component of low-to-moderate income workers’ retirement wealth will come from workplace pension saving. Vanguard’s Center for Investor Research has already had great success with their annual publication How America Saves, and the new How Australia Saves. These reports use administrative data from large defined contribution arrangements to explore the experience of people saving in pension systems around the world. NEST Insight is delighted to be collaborating on the first of Vanguard’s reports focused on UK savers, specifically the population of over 6 million people who’ve been enrolled into NEST. 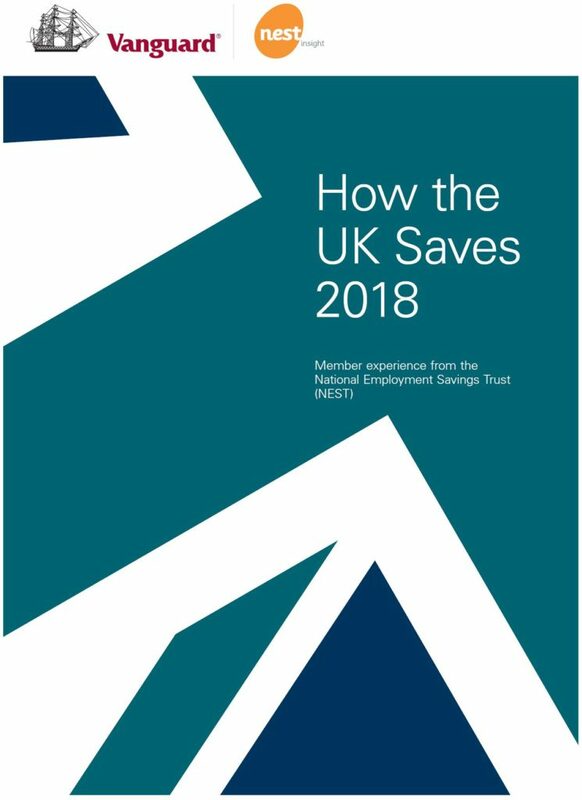 We hope that, over time, this annual publication will build to provide a rich and detailed understanding of how auto enrolment is working for our population of largely low to moderate income savers.